Mount Desert Island (MDI) is no stranger to politicians and national parks. In 2010, President Obama and the first family made the trek to the island to commemorate the centennial anniversary of a similar trip made in 1910 by President Taft, who then referred to the Maine air as “champagne in a prohibition state.” In Taft’s day, wealthy Rockefellers, Vanderbilts, Pulitzers, Fords, Astors, Carnegies, and Morgans had already discovered the area, built grand houses, and bought up much of the land—which many later donated to create, in 1919, what is now the 47,000-acre Acadia National Park. While the park is the island’s crown jewel, there’s no need to cancel your trip because of the government shutdown. Park roads are closed to cars, but the natural beauty of the area remains unrivaled, and most businesses are open through Columbus Day weekend for a last hurrah before the end of the season. Herein, some options. My first stop on a trip to MDI is Cadillac Mountain Sports (207-288-4532), Bar Harbor’s source for outdoor apparel and equipment since 1980, where the friendly and knowledgeable staff can help you plan for any adventure or destination. They tell me now by phone that people are still hiking and biking in the park, but it’s very much at your own risk, not to mention prohibited, and overworked rangers will tell you to leave if they see you. A safer option might be a walk on the Shore Path along Bar Harbor’s coastline to Bar Island, Bar Harbor’s namesake, where a tidal land bridge can be accessed from Bridge Street. Come evening, this is also a good place for some of the best star gazing in the country, thanks to the famed darkness of Mount Desert Island’s night skies, which can make the Milky Way bright enough to reflect off the ocean. View of Somes Sound from Sargeant Drive. Courtesy of Maine magazine. Something about being on an island makes me want to leave the car behind. 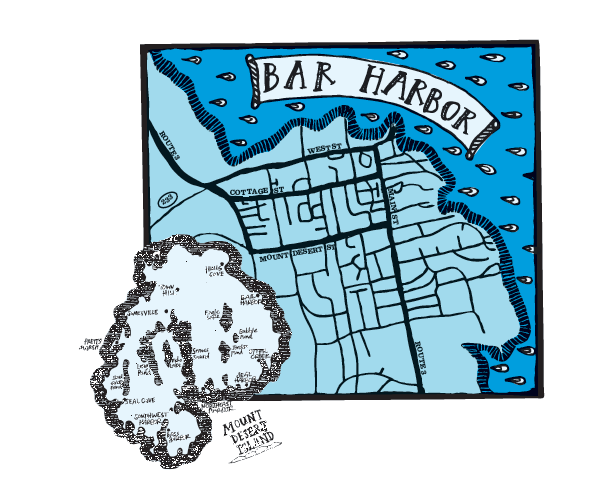 I was glad to rent a bike at Bar Harbor Bicycle Shop (207-288-3886) on the corner of Cottage Street and head out to explore the island under my own power. In an effort to escape the automobiles that began taking over the island after 1913, John D. Rockefeller Jr. oversaw the creation of 45 miles of carriage trails that traverse rolling terrain and feature 17 elegantly constructed native stone bridges spanning the gorges and rushing creeks. 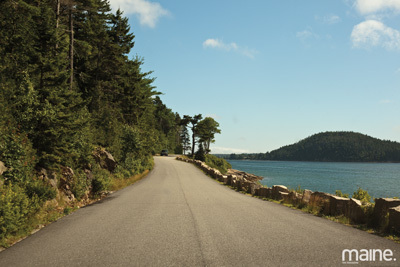 Since the bicycle-friendly carriage trails are all within park boundaries, you might peddle instead on a 23-mile loop out of town on Route 3 to Northeast Harbor and Route 198, then back to Bar Harbor on Route 233. A scenic option could include a detour onto Sargeant Drive for views of Somes Sound, but exercise caution as the road can be narrow and curvy. Early explorers to MDI arrived by boat, including Frenchman Samuel Champlain, who dubbed the rocky land mass Isles des Monts Deserts (Island of Barren Mountains) in 1604. Afloat is still one of the best ways to explore the island today. Look for the red-sailed Margaret Todd, a 151-foot, four-masted schooner, and the Ada C. Lore, a Chesapeake Bay oyster schooner measuring 118 feet (207-288-4585). Or hop on a mail boat in Northeast Harbor for the Cranberry Isles (207-244-3575 ) to see the anonymous rock art randomly stacked around the isles. When in Southwest Harbor you can visit the birthplace of the Hinckley Picnic Boat made by renowned yacht builder, The Hinckley Company. Exploration of a botanical nature abounds in the island’s lovely estate gardens, most of which were built in early 1900s, and include Charles Savage’s Asticou Azalea Garden (207-276-3727), the English- and Japanese-style Thuya Garden (207-276-5130) next to Asticou Terraces in Northeast Harbor, and the Abby Aldrich Rockefeller Garden (207-276-3330), located on a nearby bluff in Seal Harbor and designed by landscape-design maven and former resident Beatrix Farrand. Many visitors opt for tennis whites for the public courts in Northeast Harbor or, if staying at the Harborside Hotel (207-288-5033), the clay courts at the member-only Bar Harbor Club, where the Obamas once played. They might also tee off as President Taft did at the par-seventy Kebo Valley Golf Club (207-288-3000), the eighth-oldest in the nation, or try the waterfront greens at the nine-hole Causeway Club (207-244-7220) in Southwest Harbor. The saying goes that Mount Desert Island sits on its view. This was the view that caught the eye of landscape artists Thomas Cole and Frederic Church, of the renowned Hudson River School, whose paintings of the area inspired the first vacationers, as well as many of today’s galleries. On the way into town, I like to stop to see the latest show at the Ethel H. Blum Gallery (207-288-5015), named for the accomplished watercolorist and MDI summer resident, at the College of the Atlantic, and the cozy and eclectic studio gallery at Rocky Mann’s Pottery Studio (207-288-5478) in Hulls Cove is a fun stop on the way out. As well, the stained-glass windows crafted over the last century by Louis Comfort Tiffany and other artists at St. Savior’s Episcopal Church are worth a look. Everyone wants to own a wooden animal sculpture made by local artist Dan Falt at Rockend Art Barn (207-276-3928), the home of a popular summer art camp for children. As well, lessons in local animal life and ecology can be found at the George B. Dorr Museum of Natural History (207-288-5395), located on the College of the Atlantic campus. Bocce at Lompoc Cafe in Bar Harbor, Maine. Courtesy of Maine magazine. Other favorite hangouts in town include Cafe This Way (207-288-4483), which has a great Asia-Maine fusion lobster-and-crab spring roll, or the Lompoc Cafe (207.288.9392) with Mediterranean-style pub food and bocce or live music on the outdoor patio. For a mojito and dinner that’s hard to beat (and enjoyed by Obama), there’s the Latin-inspired Havana (207-288-CUBA). 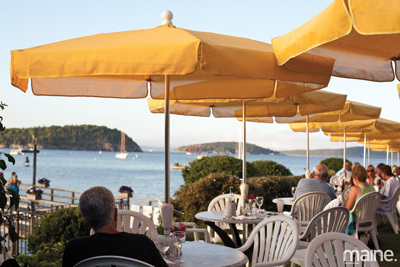 If it’s location you’re after, the outdoor Terrace Grille (207-288-3351) at the Bar Harbor Inn overlooks Frenchman Bay. Reel Pizza Cinerama (207-288-3828) offers both wood-fired pies and a movie—be sure to arrive early to claim one of the coveted couches. In Southwest Harbor, stock up on wine, cheese, and Manset Little Farm Chocolate Chip Cookies (207-244-7013) at Sawyer’s Market (207-244-3315) and make the trip over to Bernard, one of the prettiest working harbors in Maine, for a classic Maine lobster feast at Thurston’s Lobster Pound (207-244-7600). Passing back through Northeast Harbor, you never know who you might run into at Pine Tree Market (207-276-3335)—maybe even Martha Stewart, who owns Skylands, the nearby Seal Harbor house originally built for Henry Ford’s son, Edsel, in the 1920s. I’ll opt to end the evening by sampling a new flavor at one of the multiple MDI Ice Cream (207-801-4006) locations (Obama opted for coconut), or those with adventurous stomachs might try instead the lobster ice cream at Ben & Bill’s Chocolate Emporium (207-288-3281). Breakfast brings some tough decisions. Go back to Cafe This Way for a McThisWay breakfast sandwich, get raspberry pancakes at 2 Cats Restaurant & Inn (207-288-2808), or grab coffee and pastries at Morning Glory Bakery (207-288-3041). If your breakfast generally involves a laptop, the Opera House Internet Cafe (207-288-3509) has one of the better WiFi connections in town (which can come in handy, as cellular coverage tends to be a tad unreliable). View of Frenchman Bay from the Terrace Grille at Bar Harbor Inn, Maine. Courtesy of Maine magazine. When you like to put up your feet in style, the big resorts include Bar Harbor’s Harborside Hotel (207-288-5033) and the Bar Harbor Inn (207-288-3351), both with spas open to anyone seeking relaxation and pampering. Historical classics include the rambling turn-of-the-century Asticou Inn (800-258-3373) in Northeast Harbor and the iconic yellow Claremont Hotel (207-244-5036) in Southwest Harbor. The Wonder View Inn & Suites (888-439-8439) was once the estate of mystery writer Mary Roberts Rinehart, and Balance Rock Inn (800-753-0494) is a former turn-of-the-century mansion on the Shore Path. For a non-historical option, try the Bar Harbor Regency Holiday Inn (207-288-9723), which features 278 rooms, heated pool overlooking the ocean, tennis courts, and restaurant. The Acacia House Inn (207-288-8122) offers an intimate bed-and-breakfast experience, and was founded by the original owners of Morning Glory Bakery—so yes, great breakfasts. Which brings us to another day to bike, walk, eat, and browse our way around MDI. Here’s hoping Acadia National Park re-opens soon. In the meantime, enjoy the options. 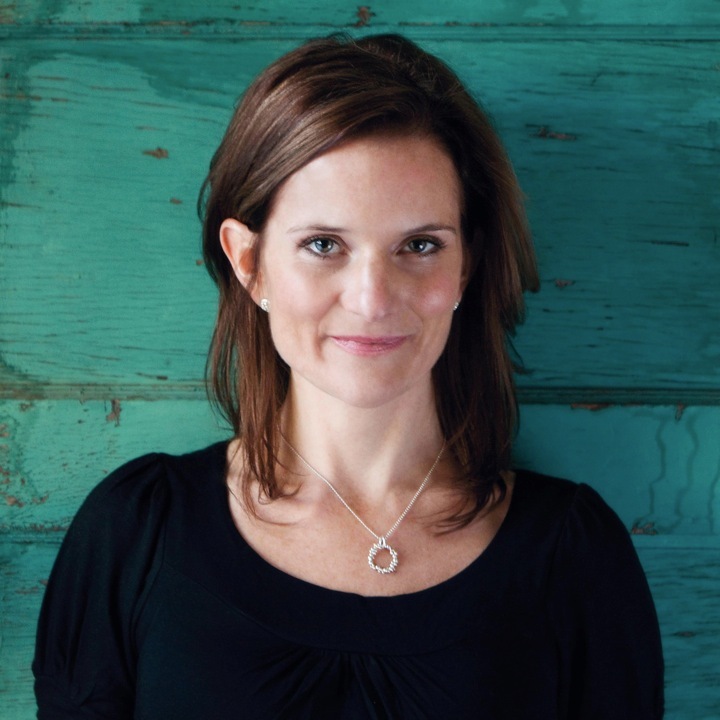 Melissa Coleman is the author of This Life Is in Your Hands: One Dream, Sixty Acres, and a Family’s Heartbreak, a New York Times bestseller and Indie Next Pick for May 2011. It was a People’s Pick in People Magazine, excerpted in O, The Oprah Magazine, and a nonfiction finalist for the New England Book Award and Maine Literary Award. 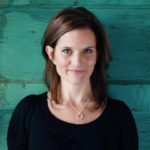 Melissa is a columnist for Maine Home + Design magazine and organizes the Super Famous Writers Series at The Telling Room, a Portland writing center for children and young adults. She lives in Maine with her husband and twin daughters and can be found at www.melissacoleman.com.